Why book your Universal Studios Orlando Vacation with us? In addition to being travel agents, our team is made up of some past Orlando area theme park employees, Mom’s and Dad’s and agents that love Orlando. We have worked, lived, and played, all around Orlando Florida. We are happy to share our Universal Studios Theme Park knowledge with you and plan the perfect Universal Studios Orlando Vacation for you. We never charge a fee for our services. What does it cost to work with Universal Family Vacations? Our services are FREE. There are no hidden fees, and we work with you to find the perfect Universal Studio Resort vacation for you and your family. Lisa and Steve, the owners, both worked for the Walt Disney Company and have worked, lived, and have played all around Orlando. Pixie Vacations was started several years ago to share Disney Vacation planning tips and savings with everyone and soon after guests wanted to also experience Universal Studios and other Orlando area resorts and attractions. So Universal Family Vacations was created to help guests wanting to stay at Universal Studios Orlando. Hi my name is Lauren, and I would love to help plan your Universal Studios Vacation! Why do all the planning yourself when you can have a specialist do it for you for FREE? 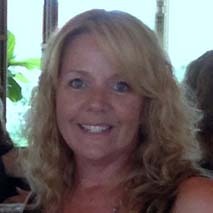 I have experience with the resorts, parks, dining and special events. I will help you choose the right fit for your family and assist you in planning the best way to experience the parks and dining options at Universal. If you are planning to combine Disney with Universal, I can help make that transition smooth as well. My love for and knowledge of Universal shows, as I am ranked as a top selling agent at Pixie Vacations for this destination. Contact me today to start planning your vacation. My name is Jessica and I am excited to help you plan your Disney vacation. My love of Disney has spanned my entire 32 years on this earth. Be it the movies, the parks, the characters, or the music I just cannot get enough of Disney. Beyond that I also have a big love of animals and currently own 3 horses, 2 dogs, and 2 cats! I live on beautiful Cape Cod with my husband and son. As a child I had the privilege of going to both Disney World and Disneyland on several occasions. I just could never get enough of it. In 2008,I traveled to Disney World for my honeymoon and felt that Disney as a grown up was even better than Disney as a kid! It afforded me the opportunity to become a kid again. Chocolate from a Mickey bar dripping down my arm, mouse ears on my head and the smells of Main Street USA were the perfect combination. Planning a Disney vacation can be overwhelming and I am here to help you every step of the way. I will make sure you get your dream vacation without breaking the bank. With services such as itinerary planning, customized care, discount scouting, and the feeling that your trip is more important than anything else you are sure to get a fabulous vacation! Feel free to contact me with any questions you may have! I look forward to sharing the magic with you! Hi! My name is Kristin Zarchan. I am a mom to three children, Breanna (18), Tyler (13) and Hayley (11) who loves to take my family with me as I travel to Universal Orlando. As a special needs specialists, I am able to navigate the parks with my special needs son without worry. I love to take photos of my travel. My Pixie facebook page will immerse you into the theme parks of Universal Studios and the Islands of Adventure through photos so you know what to expect when you arrive. All of the Universal Orlando hotels are featured in each of their own albums from the bathroom layout to the spacious bedrooms. 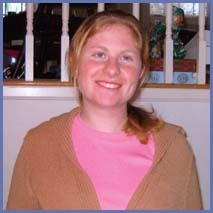 As a mom to a special needs child, I also specialize in guiding special needs guests through the ins and outs of accessibility within the theme parks. I can help with special dietary needs, navigating a wheelchair on rides and more. I would love to share my Universal Orlando travel insights with you. Yearly onsite trainings and family vacations to Universal Orlando help me stay up to date with the newest happenings in the three parks. Just select my name on the quote form and I will help plan your Universal Orlando vacation with a free quote. Greetings Muggles! 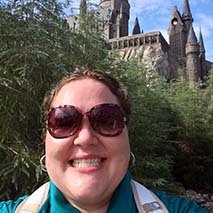 My name is Jessie Sharps and like many of you, I have found a new love of Universal Orlando through my love of Harry Potter. I have never experienced a theme park land that comes anywhere close to what Universal has created in their theme parks with Harry Potter. And that is just the start of the amazing things available at Universal Orlando. From Dr. Seuss, to Marvel, to Jurassic Park, they have something to offer everyone in your family. I would love to help your family discover the fun and excitement of a Universal vacation. Message me today for your free vacation quote and vacation planning. I can’t wait to help sprinkle some magic on your next vacation. Hello! 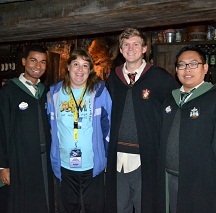 My name is Donna, and I would be happy to serve as your vacation specialist for Universal Orlando. 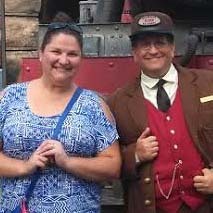 My husband and I moved from the Philadelphia area to just outside Orlando in July 2013, and since then have visited Universal Orlando countless times with our Premium Annual Passes. Before our big move we visited Universal Orlando twice, and actually had the opportunity to experience one on-site hotel and one off property hotel. I would be happy to share my experiences with you as we work to plan the best vacation on your budget. I believe that good dining makes a fantastic vacation complete. I will gladly suggest dining locations (like the can’t miss Three Broomsticks!) that will be both fun and cost effective for your family. We can talk about the Express Passes and Dining Plan Options, as well as many other ins and outs of a Universal Orlando Vacation. And now, as a certified Universal Parks and Resorts Specialist, I have gained even more knowledge to provide you with additional tips and tricks for an amazing vacation experience. To contact me, either select my name in the “Get a Quote” form, or e-mail me at donna@pixievacations.com. Planning a vacation for you and your family requires a lot of time…and money. Why not get some free help to make sure you get the most out of your trip? 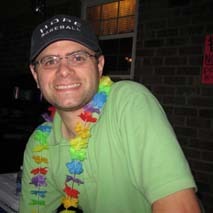 My name is Matthew and I have been with Pixie Vacations for 3 years, helping families just like yours with the details to make their time together unforgettable. With services such as itinerary planning and booking dining reservations, I can put together a package to make sure you get the most out of your vacation. Besides being a former Disney cast member, I have many years in the travel industry and have completed both the Disney College of Knowledge and the Universal Specialist courses. This experience and information could prove valuable as you look to plan your vacation. Feel free to e-mail me at matthew@pixievacations.com with any questions or to receive a quote. I look forward to hearing from you soon!